Briley Grace was born and by all accounts appeared healthy, but at about 12 hours her dad noticed that Briley was struggling to breathe, panting or what looked like she was trying to catch her breath. Shortly after, she was diagnosed with a congenital heart defect- Tetralogy of Fallot. To be diagnosed with TOF your heart must have at least 4 issues. Briley’s heart formed 3 chambers instead of 4, one of her valves was narrow and her blood was oxidized and de-oxidized requiring a double pass open heart surgery at just 4-months-old, where the surgeon took out Briley’s left valve and grafted the bottom of her heart to create the 4th chamber needed to correct heart function. Her heart repair went well with only a few common issues, Briley ended up with a good amount of fluid on her lungs and her stomach lining was cut requiring her to be on clear liquids for 4 days. And was released from Rady Children’s after a week and 1/2. Because Briley was born in Japan while her father was on active duty, we were required to have her repair in the state’s and spent a month and 1/2 in San Diego for follow up care. At around 10 months old Briley was still unable to go from laying to sitting up, roll over or crawl. She endured a year of 2 weekly Physical Therapy appointments for a year. Even Through the pain of PT, she showed a toughness of an older child. Through her cardio check-ups, we were told there was a chance for future repair but would not expect any change until around her late teens. At her three-year-old cardiology appointment, we found the heartbreaking news that Briley’s heart had started to enlarge at a much high rate than expected. At 5, it was found that Briley’s heart is 3 times the size it is supposed to be. With good heart function, she will have another repair at around the age of 11. Because of three years in PT, Briley gained a very strong core and at 2-years-old held a handstand long enough to grab a few pictures and she was placed in gymnastic the next day. While in gymnastics she excelled and was asked to be on her gyms competitive team. The youngest in the gym’s history. Briley worked hard weekly for 6 years at the sport of gymnastics, but one day she said she was done and wanted to do something else. It’s funny how God sets our path and protects our hearts. As had Briley stayed with gymnastics, her future it would be ripped away from her out of her control. 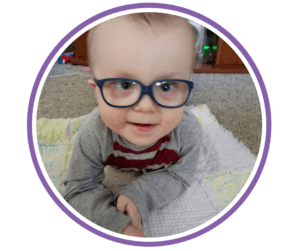 In Feb of 2018, we noticed that Briley was beginning to look more pale, not uncommon for cardiac patients. But over the next 2 months, her color continued to decrease along with her appetite and energy. In April, Briley started a low-grade nightly fever and we took her to the pediatrician. After a few common childhood illness tests all being negative we were told to contact her cardiologist. We were sure we were headed for the dreaded enlargement repair we knew was coming. After a quick EKG, the cardiologist said her heart was ok, but wanted to complete a blood count lab. On April 11th, 2018 her labs showed her counts were high, indicating leukemia. It was her brother’s birthday. Our whole family left S.Ga headed for Egleston Children’s hospital immediately. Labs once again indicated an extremely high amount of white blood cells. Final diagnoses- High Risk b-cell acute lymphoblastic leukemia. 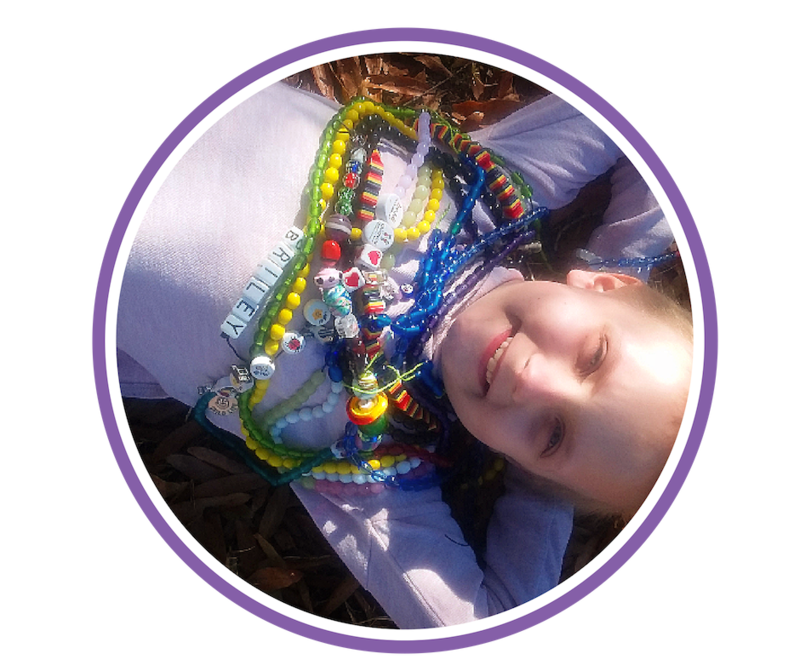 Which left our sweet 7-year-old with a 29-day hospital stay followed by a year of weekly chemotherapy treatments, then 2 additional years of monthly treatments to rid this invading blood disease out of her already small body. 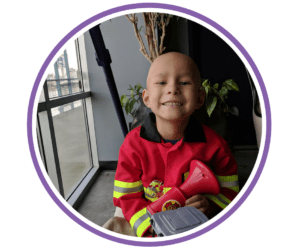 After chemotherapy was started Briley complained of extreme stomach pain, due to lack of blood cells a colon infection was unable to be diagnosed for over two weeks. 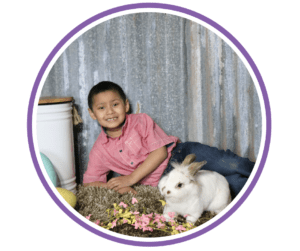 During the colon infection on day 29 of treatment, Briley was given a NED which indicated there was No Evidence of Disease, unfortunately, because of the painful infection Briley was unable to celebrate going into remission. Shortly after Briley’s fever resolved from the first infection she developed yet another high fever, sadly lasting for forty days. After weekly CT Scans and EKG’s, an arm and lung biopsy, daily lab work and lastly a full body MRI all at the age of seven. With the best medical team, we could have asked for they were unable to give us a clear reason for the prolonged fever. On day 60 of being admitted to the hospital, Briley was finally released to go home. Currently, Briley is fighting this battle with strength and bravery. Her level of maturity has been of a child much older than herself.